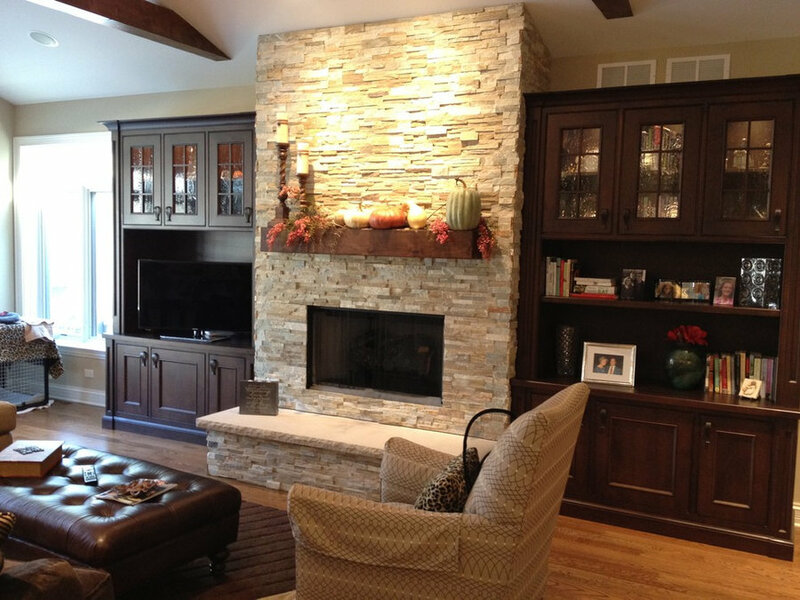 This is the family room with a stone fireplace surround, custom made built ins, and oak flooring. Wood beamed were also added on the ceiling. 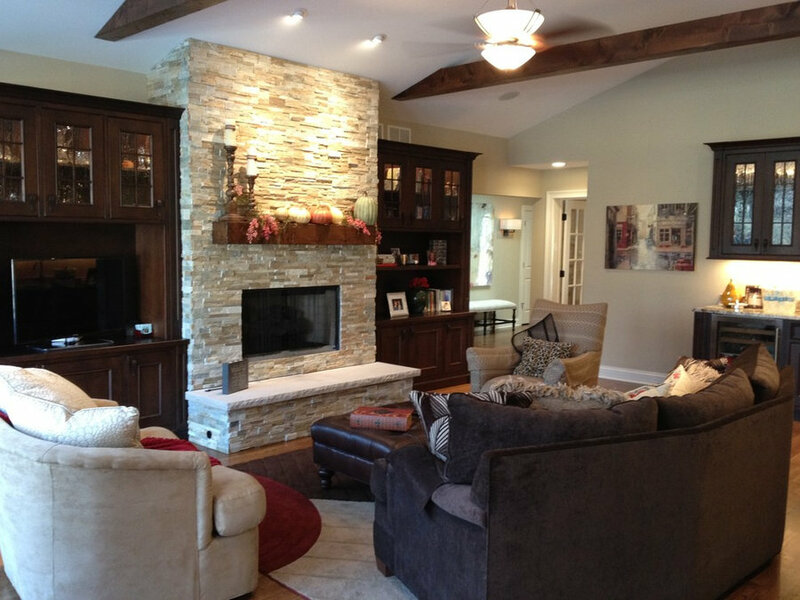 This is the family room with a stone fireplace surround, custom made built ins, and oak flooring. Wood beamed were also added on the ceiling. 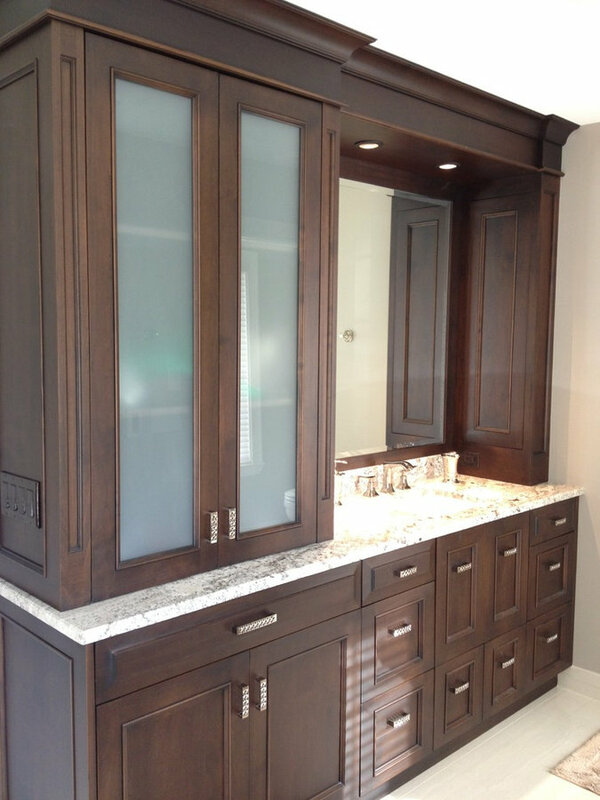 Wet bar area with sink and beverage refrigerator. 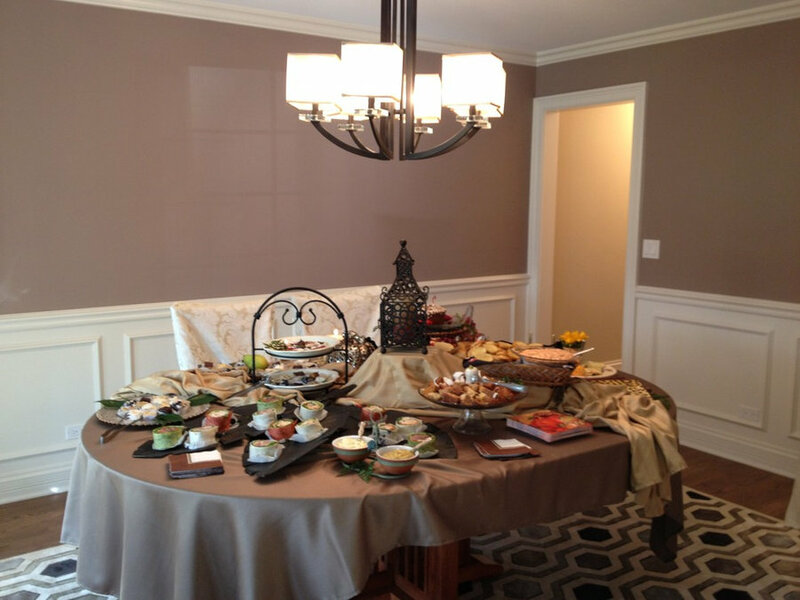 The kitchen has off white cabinets around the perimeter and espresso stained island cabinets. 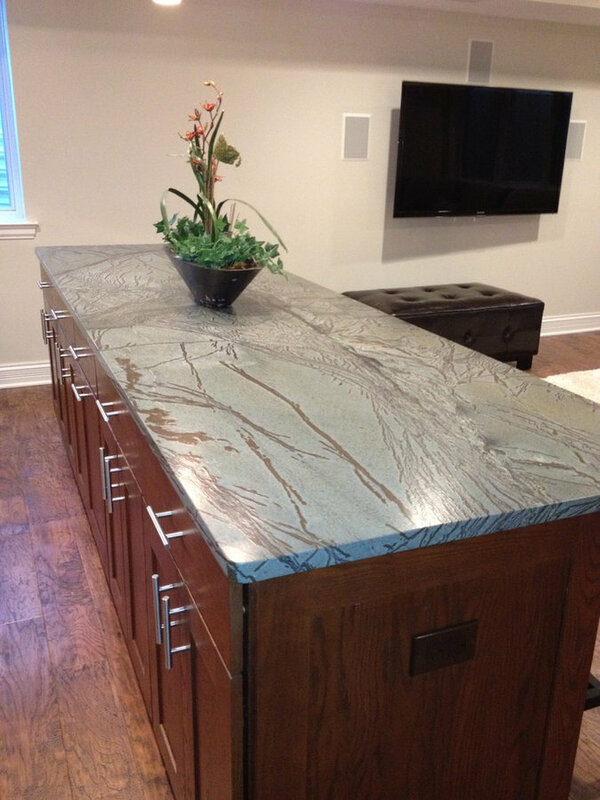 We used a different granite on the island. 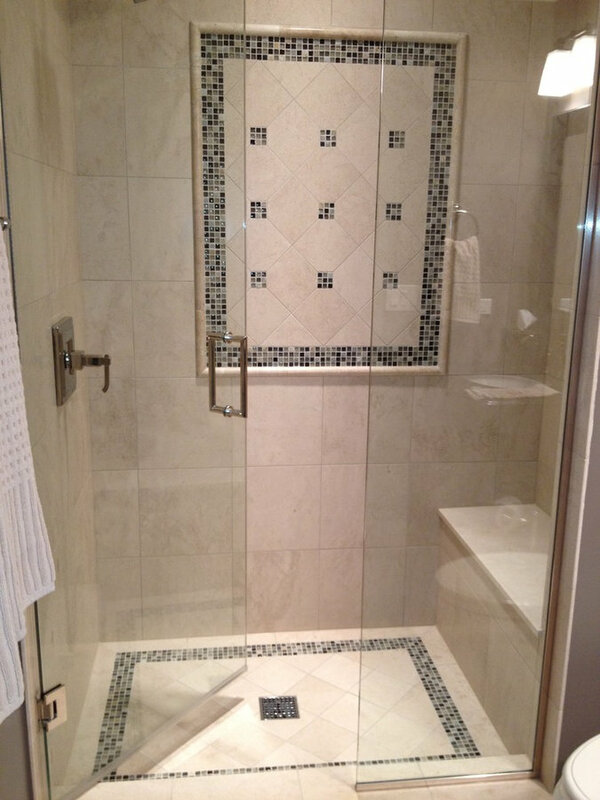 Custom designed tile work in Entry with large travertine tiles and mosaic tiles. Painted an accent wall at the end of the hallway. Added skylight to get more natural light in the hallway. 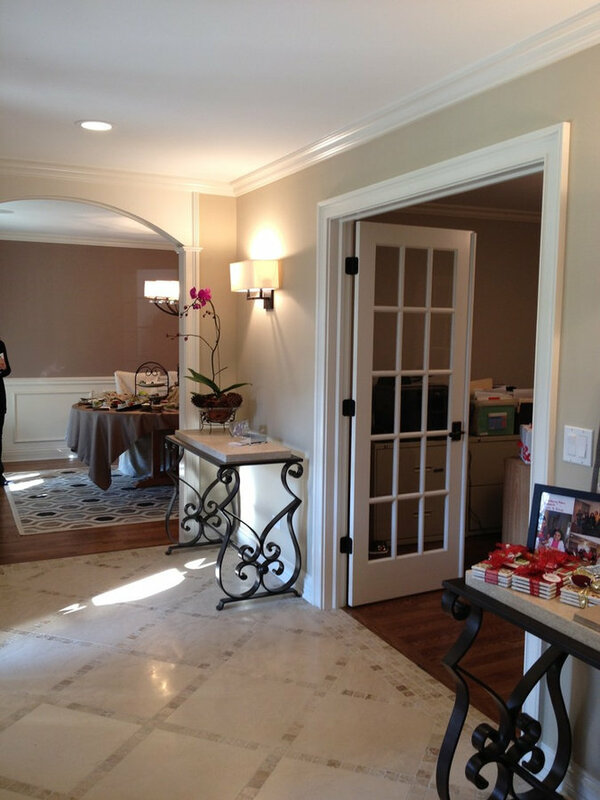 Added sconces along with the recessed lights. 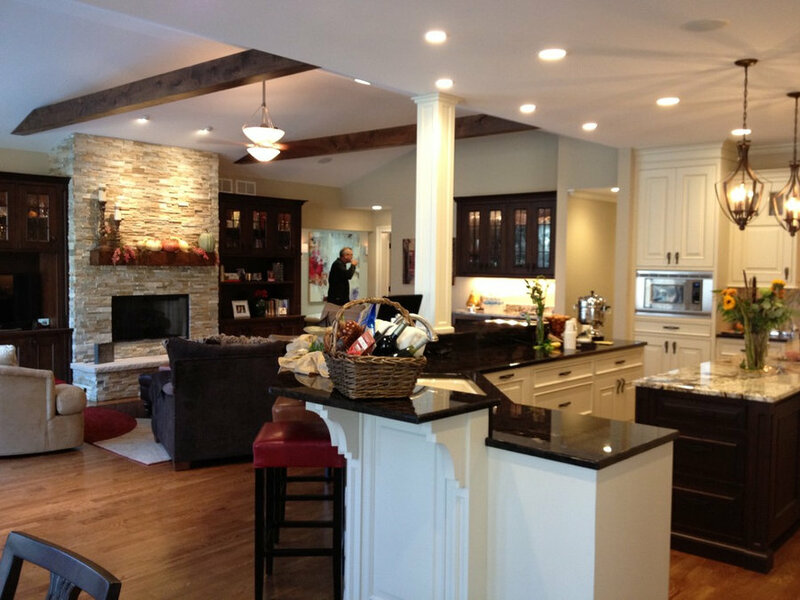 Remodeling Project done with Maddock Construction. 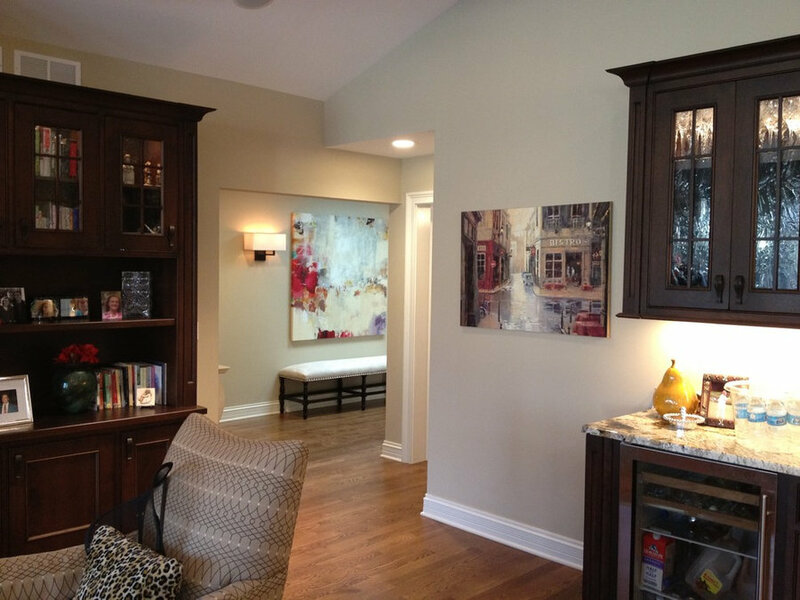 Interior Design selections by Artisan Home and Design. 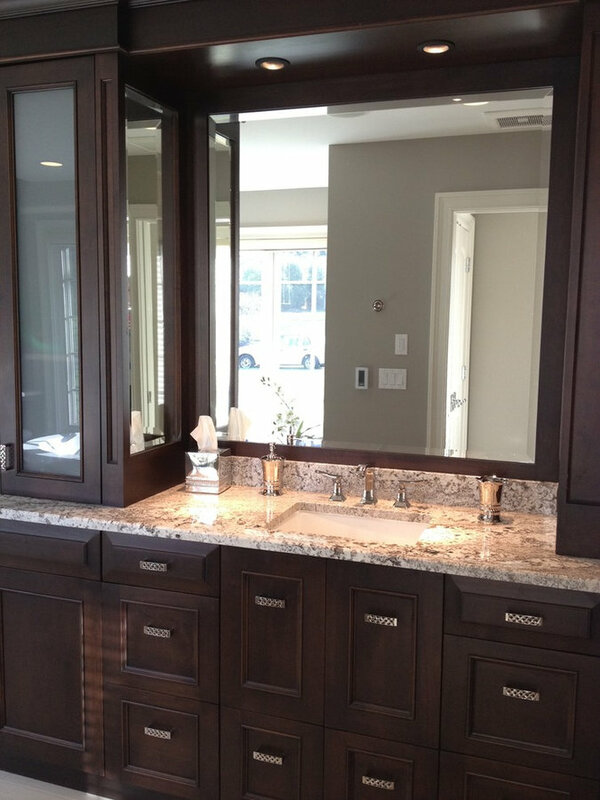 This is the master bath with custom made cabinets, granite counter tops, Hansgrohe fixtures, porcelain tile with glass mosaics. 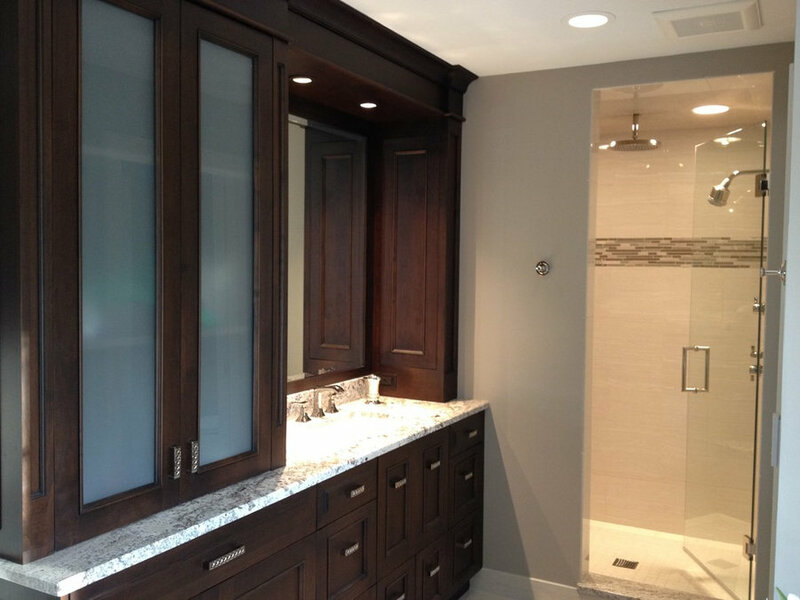 This is the master bath with custom made cabinets, granite counter tops, Hansgrohe fixtures, porcelain tile with glass mosaics. Make up area with seat. 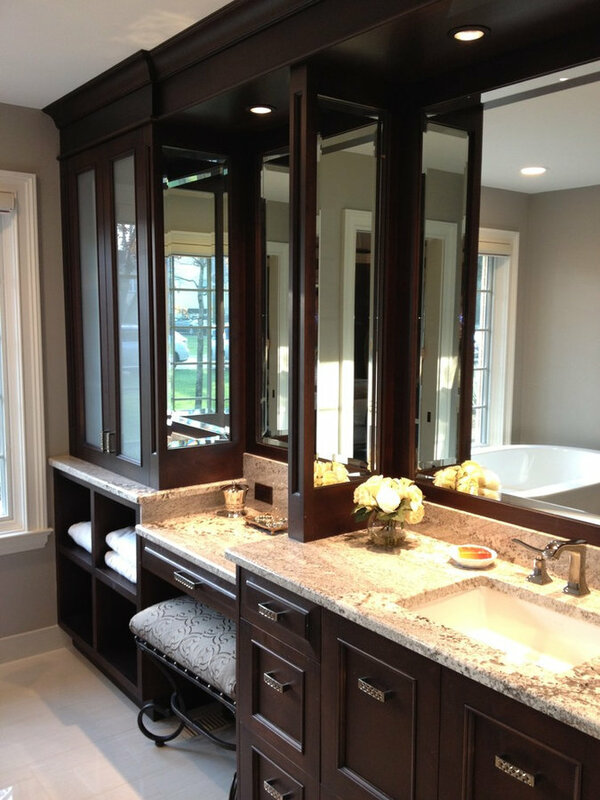 Double vanities. 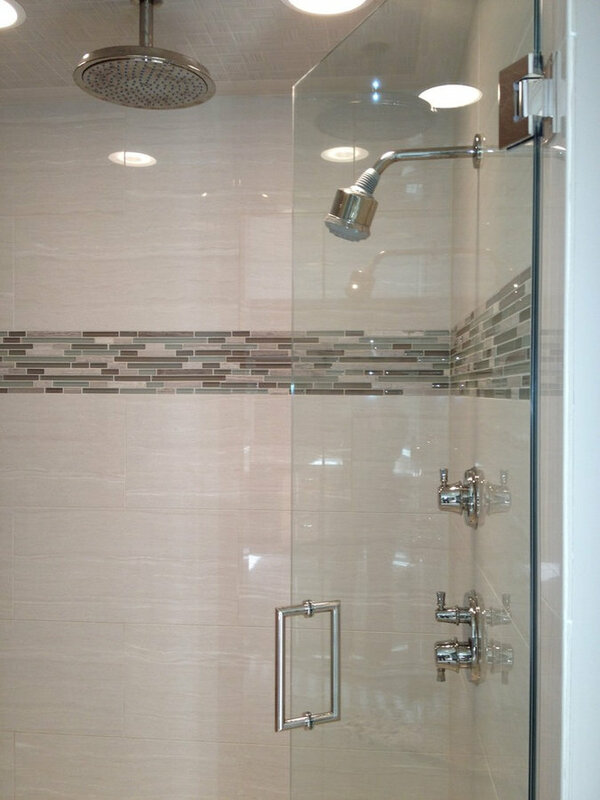 This is the hall bath with shower. 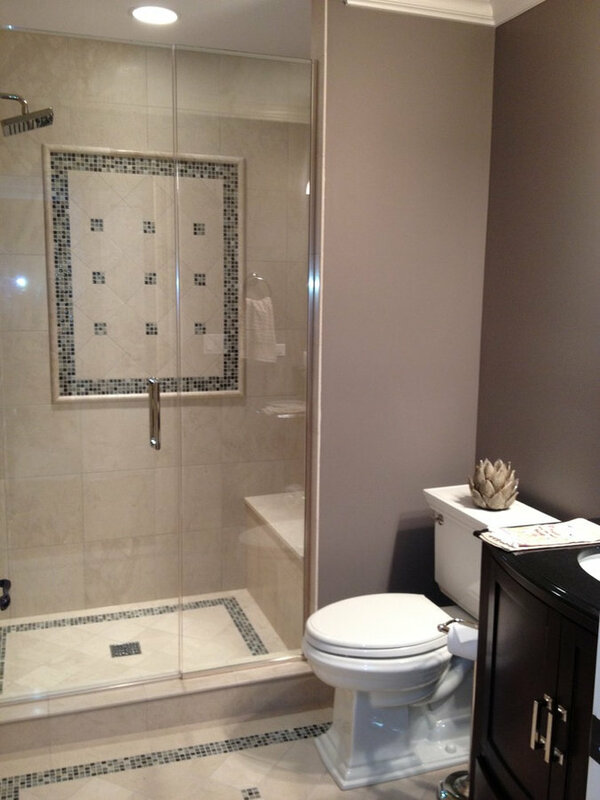 Picture frame detail added in the shower and also framed the shower floor and bathroom floor with mosaic tiles. 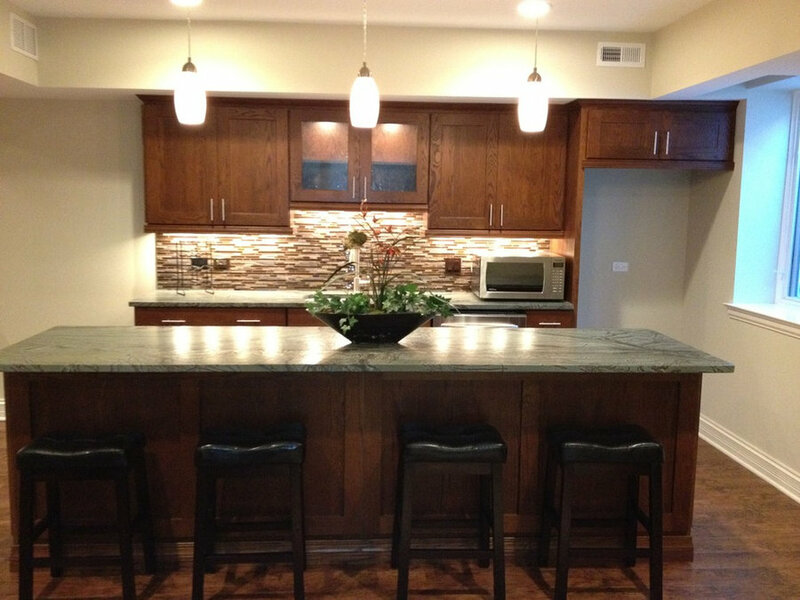 This is the basement kitchen with maple cabinets. 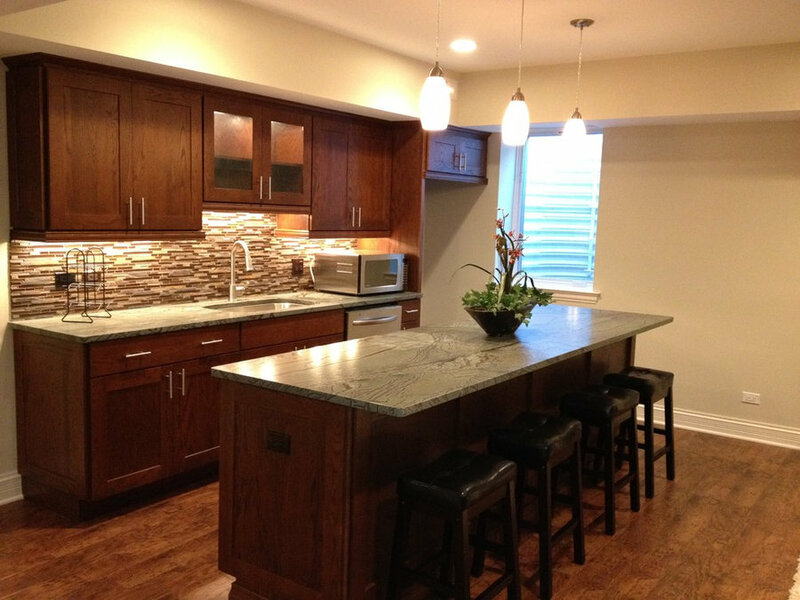 We used soapstone countertops with a glass mosaic backsplash. The floor is vinyl plank flooring.